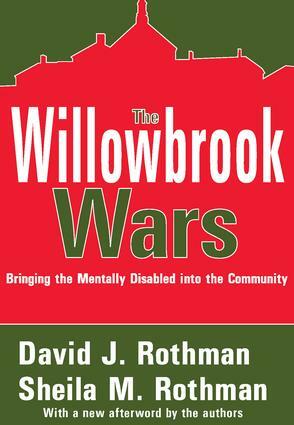 The Willowbrook Wars is a dramatic and illuminating account of the effort to close down a scandal-ridden institution and return its 5,400 handicapped residents to communities in New York. The wars began in 1972 with Geraldo Rivera's televised raid on the Willowbrook State School. They continued for three years in a federal courtroom, with civil libertarian lawyers persuading a conservative and conscience-stricken judge to expand the rights of the disabled, and they culminated in a 1975 consent decree, with the state of New York pledging to accomplish the unprecedented assignment in six years. The Willowbrook Wars takes us behind the scenes to clarify the role of the judiciary, the fate of the underprivileged, and the potential for social justice. In their new afterword, the authors bring the story up to date, describing the results of the closing of the institution in 1987 from the experiences of integrating the former residents into communities to the legal battles between the state of New York and advocates for the mentally handicapped.